Large stone sculptures and reliefs were a striking feature of the palaces and temples of ancient Assyria (modern northern Iraq). 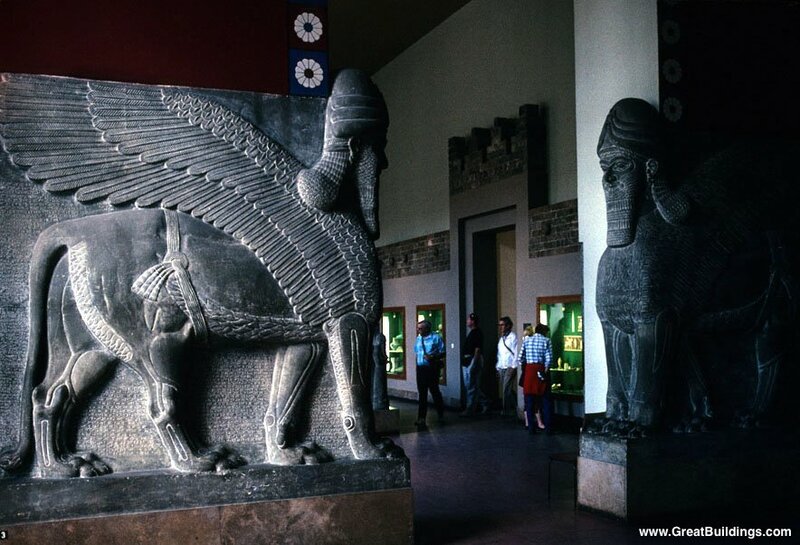 An entrance to the royal palace of King Ashurnasirpal II (883-859 BC) at Nimrud was flanked by two colossal winged human-headed lions. 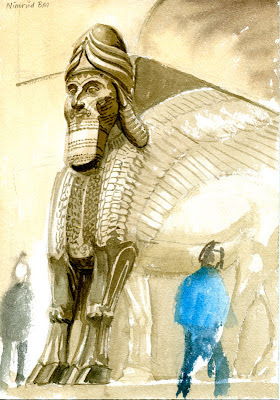 A gigantic standing lion stood at the entrance to the nearby Temple of Ishtar, the goddess of war. Painted in Room 6 at the British Museum, London. You need permission to use paints, but pencil is allowed without a permit. Watercolour 18cm x 25.5cm. Click to enlarge. 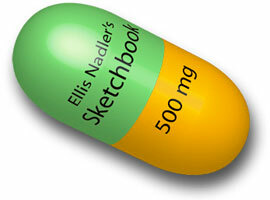 Nice rendering, Nadler. They don't give you a whole lot of light to paint by, do they. Going by the photo, anyway. The darkness seems to make the stone loom and rear more though. it feels more majestic.